Most people would perceive boxing as a dangerous and violent sport or simply an excuse to throw punches at others. But here at home at Dundee’s Boxing and Fitness gym, we are teaching boxing from a different perspective. Managing Director, Dundee Kim recently had have had the privilege to feature on 612 ABC Brisbane radio station, to explain promote our very special services and activities that we provide for autistic children. 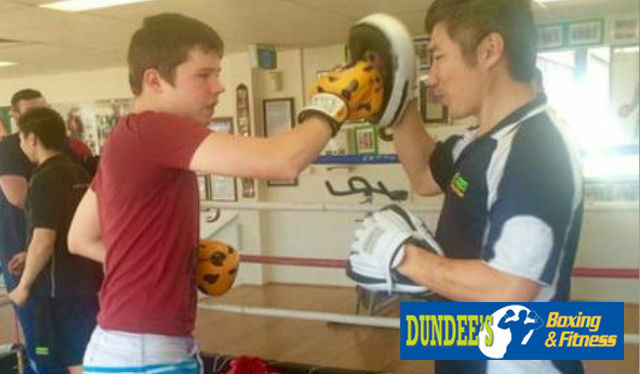 The group of Brisbane boxers at the Dundee gym say that the sport as a form of exercise can have positive effects on children with autism. The training at Dundee’s provides activities that will improve coordination, confidence, self control discipline and also reduce stress levels. It is important for mental and physical health, with all our professional trainers giving full welcome and support. The training program at Dundee’s is a one-on-one training session in a structured environment, which will allow us to work hand-in-hand with your child to help them achieve maximum levels of fitness and fun – every step of the way. We have happily trained lovely kids with autism and asperger syndrome – and have helped improve their quality of life by improving their fitness, concentration and overall health. Listen to our segment here on 612 ABC Brisbane on Soundcloud.